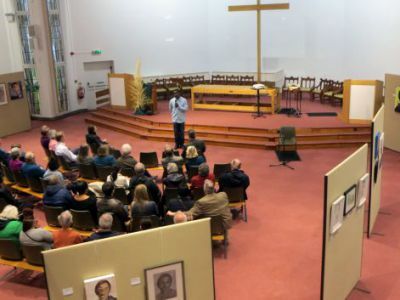 The Church provides an excellent space for exhibitions; the worship room is large, open and relatively unadorned. There is an exhibition every year. The 2018 exhibition was Elizabeth Gray-King’s Octave. 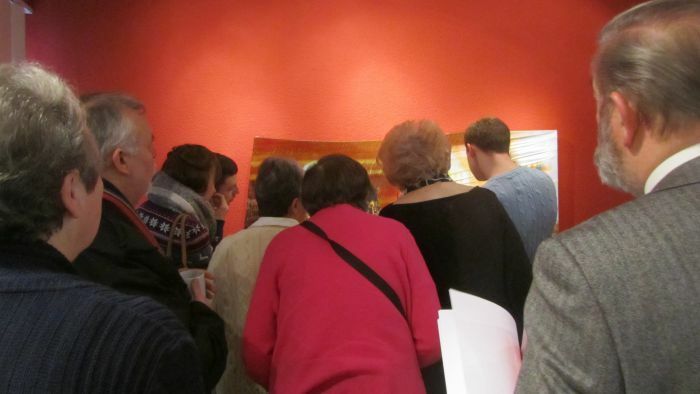 This was the latest in a series of collaborations with The Westhill Endowment, through its CreateTalk programme. 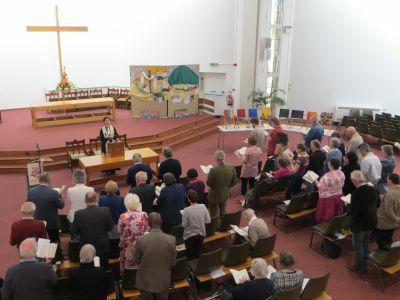 Elizabeth led worship on Sunday 13th May and introduced the eight paintings in this series. 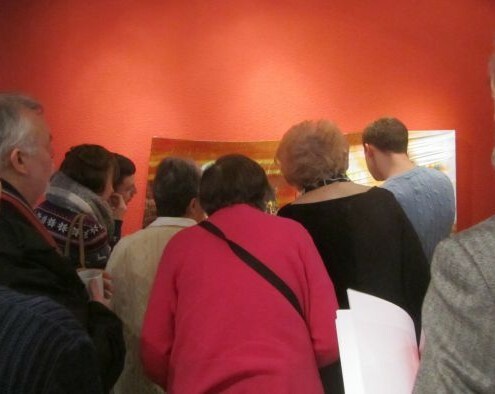 The exhibition was open for viewing for the following week. The Easter 2017 exhibition was Beyond the Depths of Skin, by artist Eddy Aigbe. In 2013, Elizabeth Gray-King exhibited nine of her paintings. She called the exhibition Knowing Longing. Elizabeth joined us for the opening weekend, talking on the Friday evening about what inspires her and how she works. 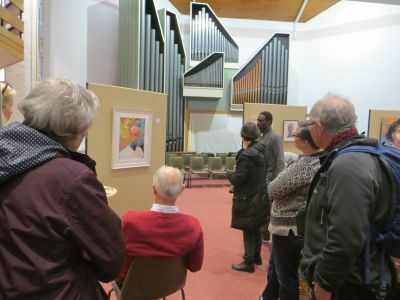 She offered two workshops on the Saturday and led worship on the following Sunday, using her images to inspire reflection and prayer. 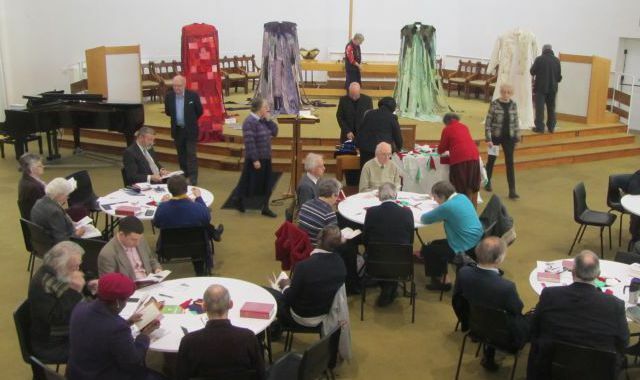 Many of us were so inspired that we commissioned Elizabeth to make a work for us to celebrate the church’s new identity as an ecumenical partnership. 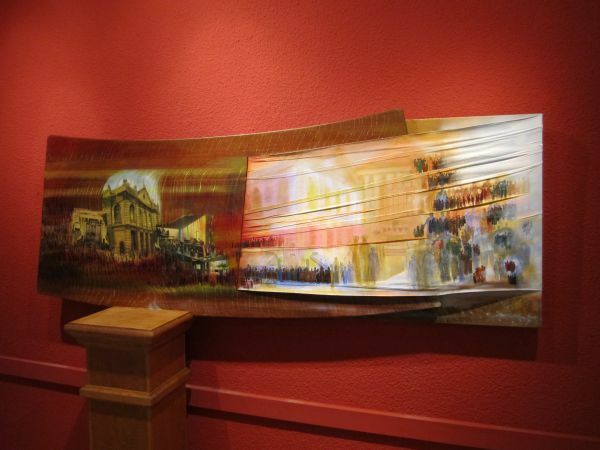 During the year, she has visited us several times as she worked on the piece. 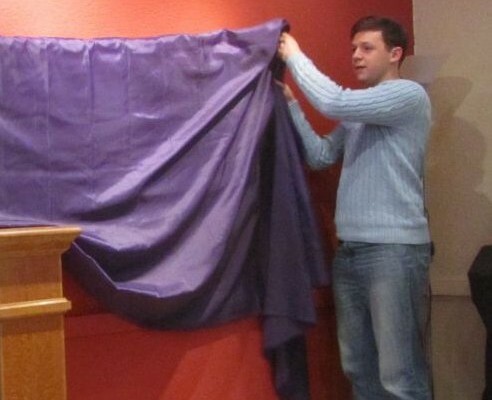 It is called Tabernacle and was dedicated in worship on Advent Sunday, 30th November 2014. 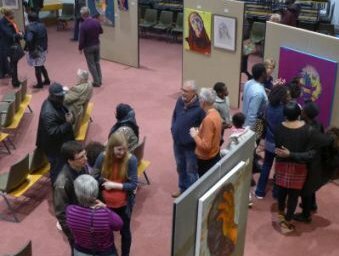 In 2015 the exhibition was another CretaTalk collection loaned by The Westhill Foundation. 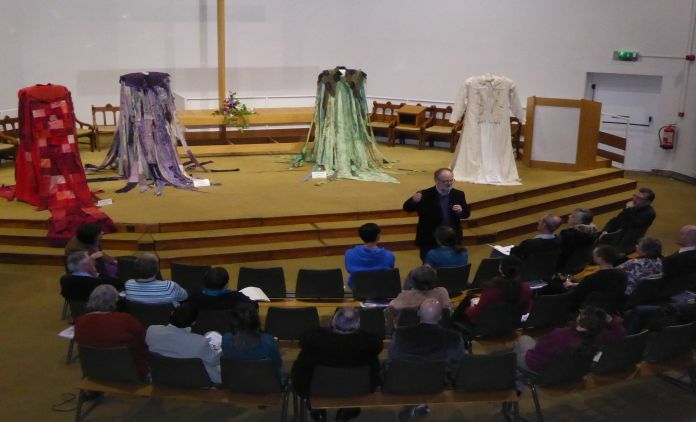 Called Gethsemane Garments, it comprises four garments and many texts which explore hope and suffering in the world. 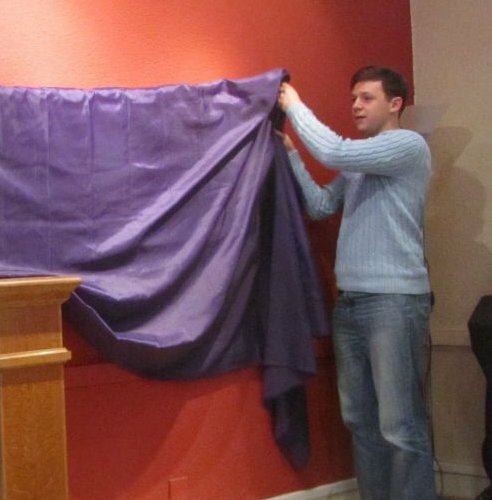 The exhibition was opened on Friday 20th March 2015 at 7.30 pm when the artist Peter Privett introduced the work. 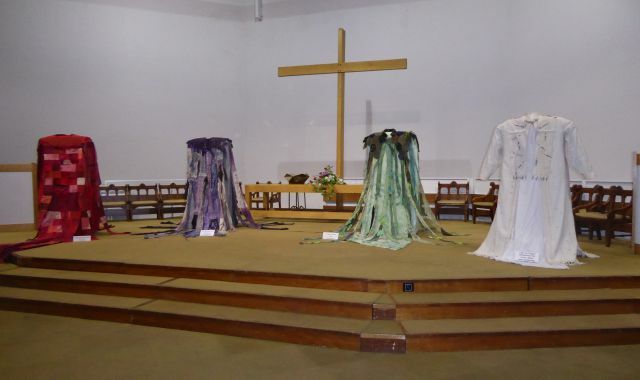 The display was used as a focus for Holy Week and Easter worship and discussion. It was open to the public on Wednesday and Thursday, 1st and 2nd April, when visitors found it thought-provoking and profoundly moving.